Meguiars Polisher is very comparable to the UDM, but if you are looking for a great polisher you should really look at the Flex! OK, so here's another vote for the Flex3401. However, after using it ALL day yesterday, I've decided that the best thing for me is to use the Flex and the PC. I use the Flex with the regular backing plate it comes with and polish all of the large, relatively flat surfaces with it (boy does it break the polish down quickly!). I use the PC with a 3.5" backing plate and 4" LC CCS spot buff pads to do the compound curves and small areas (upper door panels, bumpers, mirrors, etc.). This one-two punch has taken my work to the next level. I am completely satisfied with both polishers. I wouldn't want to give either one up to be honest with you. Is it OK to use Meguiar's Shampoo Plus in the Autogeek foam gun? I'm just wondering if you get adequate foaming with those two. sorry, if this has been addressed before, but any advise short of painting car, for vehicular cancer...i.e. clear coat peeling? Once the clear coat starts peeling, the only thing that you can do is repaint. yes, you can use ANY car wash soap in a foam gun. The foam gun actually makes any wash you normally use in a bucket foam and perform better. What can i use to get the oxidation off of aluminum bumpers and chrome window trim? That will work on both aluminum and chrome. Very effective, and a great value! I need THE softest towels available. Jet Black paint is the devil. I did a full 3-step correction last week, and i had to go SO slow with the cobras. Also, whats a good sealant for windows? What do you mean you had to 'go so slow with the cobras'? I have black paint and my cobra deluxe towels never scratch it or leave micro-marring. Right after polishing with SIP, I wiped it down like normal with a cobra towel, and there was some micro marring...i thought i swiped too aggressively, so i re-did it, went a little slower, and i thought it was all good. When I did an IPA wipedown, I saw a little bit of marring again under halogens. I was using new towels too, btw. Hmm..... interesting. Out of curiosity, which Cobra MF towels are you using? What's the best way to clean my black convertible top? I mistakenly got some wax on it and need to remove that stuff. Go for one of the Raggtopp kits. Their products are highly regarded throughout the automotive industry and work very well! Try the Supreme 530s. They're the softest and plushest towels I've felt to date. For windows, give Aquapel a shot. I recently started using it and have been quite impressed thus far. Was wondering if you could recommend me something that I can put on my interior that will work for plastic/rubber/leather to keep it protected and looking good? Also I have noticed small water spots on the windows that won't seem to come out, any recommendations for this as well? 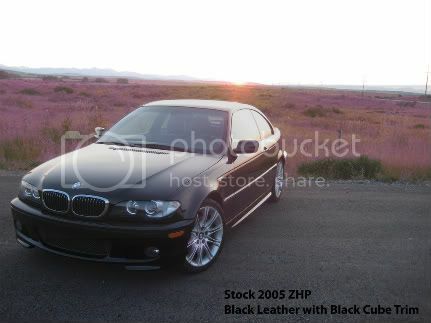 I just ordered the lexol leather kit from you....Hopefully I can change my order if you reccomend, sorry I didn't see this forum until after...My black front leather seats are very dried out and hard but not cracking yet thank god...It doesn't even smell like leather in it, My car is only a 2005 with 40,000 miles ....I am thinking because the car is black on black and has no tint..It has lived in the California sun for the past 3.5 years....I am hoping this stuff will renew my leather....Any thoughts ? Or should I be getting an oil ? Thanks a lot !! Lexol Conditioner does a great job of softening the leather and keeping it supple. It may take a few applications. If the leather is extremely dry and seems like it's past the point of no return, I would consider the Leatherique Rejuvenator Oil. should MF towels only be used for drying? i heard they are bad for dusting, myth or what? The reason for this boils down to one main point: the smaller gaps in its material will not allow dust to pass through it, and using it on a dusty surface will drag the dust over your surface and grind micro-scratches into it. I do have another question, what's a good car wash soap to use? Also I notice some water spots and swirl marks on my car and was wondering if waxing would remove this? Could it be done by hand or is it worth investing in a machine? I am new to car detailing so don't know that much yet so I greatly appreciate your help and getting my car looking nice. Will always come to your site for all my detailing needs! I like DP Auto Bath Shampoo, and Duragloss 901. Both are excellent values and work very well. A good cleaner wax CAN reduce your water spots, but will not remove swirls. You're going to have a hell of a time trying to remove everything by hand, so a good PC kit would be in order to accomplish this. If you decide to go this route, let me know what your budget is and I'll let you know what I think is the best way to go.